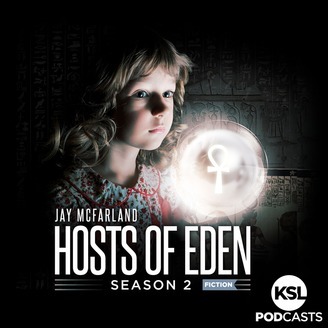 (FICTION) Welcome to season two of Hosts of Eden, a serial, science-fiction podcast written and performed by storyteller Jay Mcfarland. In the season finale, the entire team is hunkered down at Covenant headquarters, waiting for their enemy to attack. They have no idea how or when this will happen, but it is now clear that the Ark is the last piece of the enemy's plan. Take an audio adventure and binge listen to this 10-part modern radio drama on the KSL Newsradio app, Apple Podcasts, Google Play, or wherever you get podcasts. 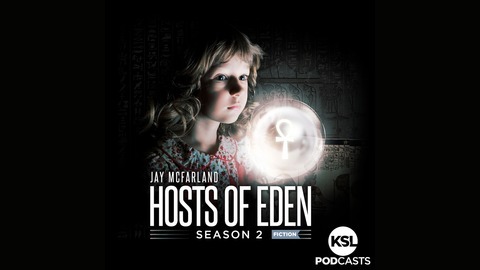 "Hosts of Eden" is a fictional podcast, written and performed by Jay Mcfarland. Mcfarland is the Host of "The JayMac News Show,” which airs weekdays at 12:30-2 pm on Salt Lake City's KSL NewsRadio. Don’t forget to review and subscribe to the JayMac News Show podcast on Apple Podcasts. Or follow Jay on Twitter, Instagram and Facebook. KSL News Radio is part of Bonneville Media and based in Salt Lake City, Utah.